To grow again your business, be an extrovert! Startup teams, legacy companies, life-long Marketers, shop owners, and agencies many times, in routine-mode, assume that the Customer/End-user is the same for a longer period than what happens in real life. Digital ‘gurus’ personify their data and make larger conclusions, again for a longer period. Companies can change, but how many are willing to do what it takes before it is too late? Planning for the Borrow My Brain design and launch, we got introduced to many interesting online Creators. All expert in their fields, all working from home as the “passive income” movement ‘dictates’. They are making value and through their work, they are improving fast their competence (believe me, the internet economy is about learning one new thing every day). But, in my humble view, they are all under risk of becoming introvert and agoraphobic. The market development of any business might be evolving online, but Trust, Preference, and Selection still need a lot of personal, F2F, pre-sales effort, networking and many-many discussions in the real world. The same goes for small-medium size business owners or bigger entities’ executives. They are managing complicated tasks every day (they are truly governing tough ships), but they have lost their connection to their market, consumer, and buyer. By connection, I don’t mean a U&A or an online survey’s summary given to them by their organization. Everybody nowadays, in the business community, speaks for acquisition/conversion, digital ‘recipes’ and data analytics. Although this ‘mania’ is needed as a Marketing operational evolution and a personal competence to acquire, we neglect the importance of leaders going out (of the office) and realizing what’s going on with their business and their customers. You might say, they have a hierarchy for this, that is an army of execs. I’m not sure that the execs do it. After 30 years in the business, many execs don’t see the priority to constantly getting fresh perspectives and feedback from their market and their Brand’s stakeholders. OK, digital tools are there! But deep insights, customer understanding, and mapping the purchase journey (or the user profile) can’t happen by some automation only. You need to smartly cross-check your knowledge and data. Because your Brand will always be a set of perceptions, with deeper associations than the top-of-mind survey findings, or the online behaviour of your visitors/customers. Despite the difficult economic circumstances or difficult transitions in our personal life, always, coming closer to the world and getting fresh input is a revelation. A new start. An opportunity to think anew, without the in-house, in-company cliche wordings. This is the way you’ve used to build your business when you’ve started, right? Everyone who starts a business is committed to a different kind of lifestyle. Business-making is a kind of freedom for the owner, and although the risks, he or she aim for financial security and a legacy. These all can’t be achieved. if your ears and eyes aren’t set on the “outside-in” approach. External audiences impact your message, product or service. Haven’t you promised them, after all, to give them a solution they need or improve their lives? Will his promise stay the same for 10-20-30 years? These days, business owners can get coaching, training, advice, strategy and consulting from anywhere in the world. The development of technology has allowed everybody to hire experts, or purchase expert advice, with just a few clicks. This has been an amazing help for entrepreneurs looking for strategies to take their business to the next level. However, it can be an obstacle. I’m in this “clan” and I know. You give an advice, you offer an e-course and after time, it is so easy for the business to develop a paralyzed mindset …until they get the X advice. For 19 years, I was selling communication plans and creative services (and then to 10 more in PR) and I have seen entire organizations waiting for the “professional response”. What I’m suggesting is simple. Yes, listen to the expert advice, but it’s not a ‘blessing’. If my customer goes out to the market, to get fresh insights and cross-check my suggestion, the result will be 100% success. My customer will be even more decisive; will be more confident; will be more involved and committed to the issue and the knowledge framework. In turn, I, as a Consultant, will improve and will try harder to deliver. In turn, professional BS…ters will disappear. Startup teams, legacy companies, life-long Marketers, shop owners, and agencies many times, in routine-mode, assume that the Customer/End-user is the same for a longer period than what happens in real life. Digital ‘gurus’ personify their data and make larger conclusions, again for a longer period. To some extent, we’ve always had an admiration for extroversion in our culture. But the extrovert ideal really came to play at the turn of the 20th century when we had the rise of big business. 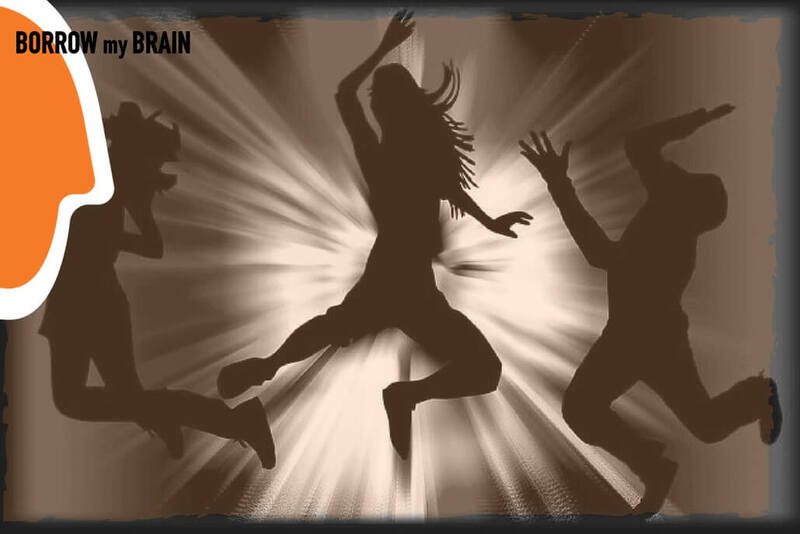 Get the Borrow My Brain e-Book. While all the above are tools to grow your business/service, it is required that you personally put the work and be connected with the Customer world. An online survey, Consumer panels, Co-creation groups, competitions, visits to the store, and a real-life check of your web analytics. You name it, but do it! Fall in love with the process and the opportunity to mine for real insights and discoveries on your business. Make it your daily routine. Wider network. Networking circles, partners, and joint business opportunities will be bigger. Also, you can have new potential contacts for new employees, new clients and new partners. Better team building. Your team sees that you exemplify Leadership, Initiative, and real Care for the business interests you all fight for. Employees will work better together; will engage more with the company strategy. What we tell ourselves becomes our reality. What the company is discussing usually becomes a “Holly Bible”, but when we convince ourselves about something, then we stop thinking “What If?” Then, our daily reality is a bit fabricated and cliche. To tell yourself (and your Brand as well) better stories, you need to be connected to the real audiences. Digital keeps us all in front of a pc monitor, while the world is changing every day. Fill your mind with mystery shopping ‘ambush’ interviews, read articles, hear international podcasts that educate you and help you keep the “What If” alive. Stay away from the complacent (routine repeating) people. Have a vision of the amazing business you’re creating and keep working toward it. Some time ago, we’ve published an article, titled “If you copy your Competition, you will fail” and the reason behind it is that for many years companies used the “inside-out” approach in viewing the world around them. It is much easier and critically helpful to use “outside-in”. In practical terms, before any internal decision, be sure that the external environment, consumers, partners, and social media communities are on the same page. If only you have such a reality-check (real knowledge), then you can apply and make changes and compromises to the inside of your business. There is much buzz about being customer-centric and keeping the customers in focus. Moreover, these words and expressions tend to be used more frequently when times are harder for business and in connection with organisational development. When times are tough, “everyone,” says that they will use an outside-in perspective. The difference between using an outside-in and using an inside-out perspective is enormous. Companies using an inside-out perspective provide solutions and products based on internal routine, history, and beliefs. Companies using an outside-in perspective provide solutions based on customer behaviour, data and needs. Being customer-centric requires that you translate the audiences’ awareness of an issue into actions, to solve it. How many companies can you come up with, that have changed from having a traditional inside-out approach and perspective to using the outside-in way? Companies can change, but how many are willing to do what it takes before it is too late?